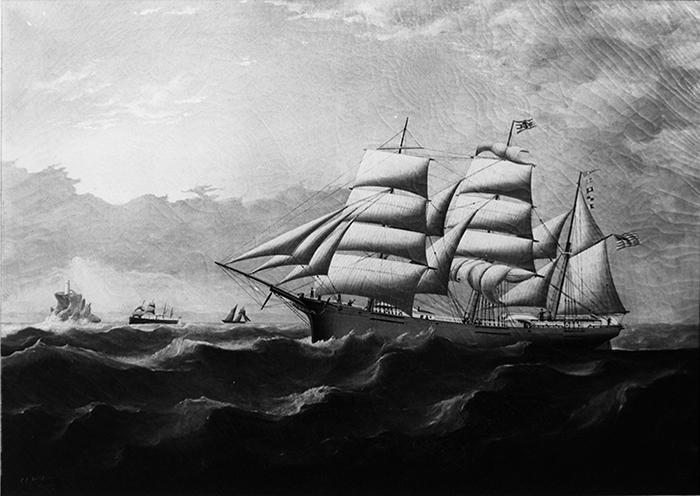 Ships often changed sails so that they used older sails where there were light winds (near the equator) and newer, stronger sails where there were typically heavy winds. 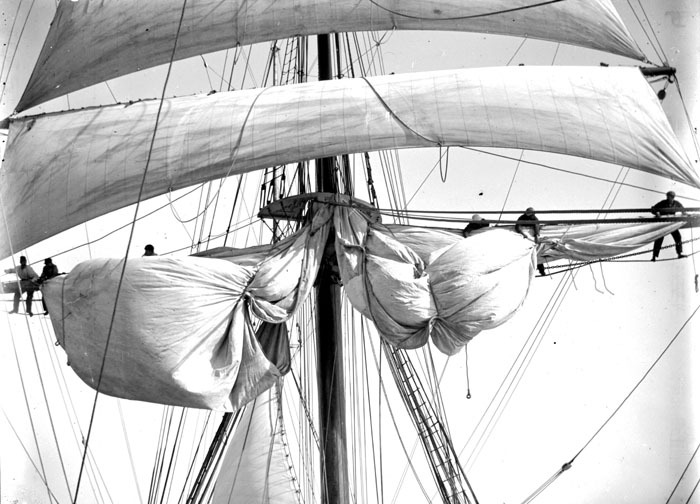 The crew is "bending on" or putting on a new sail. 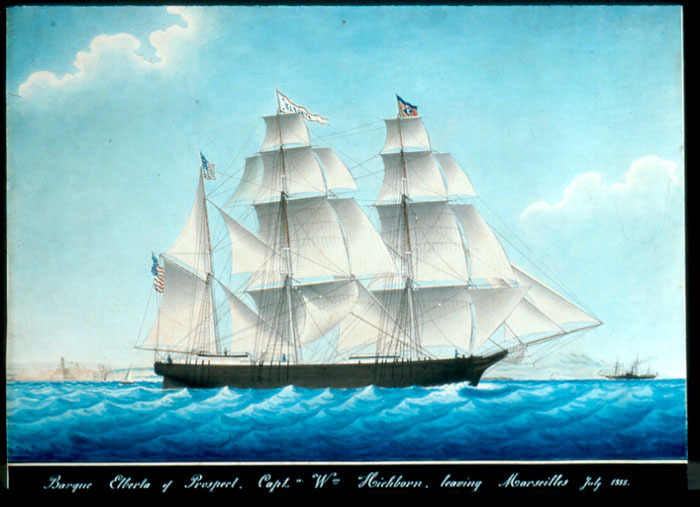 The photograph was taken by the captain's daughter aboard the bark Carrie Winslow. 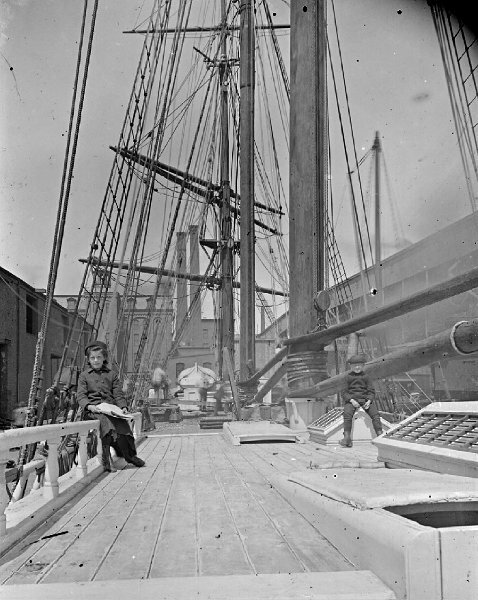 Ruth Montgomery's stepmother is shown here putting laundry out to dry on the roof of the captain's cabin. 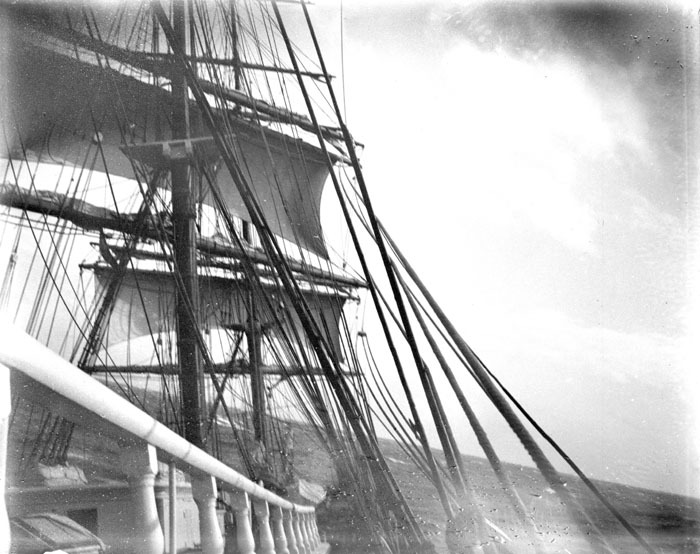 The photograph was taken by the captain's daughter (Ruth) aboard the bark Carrie Winslow. 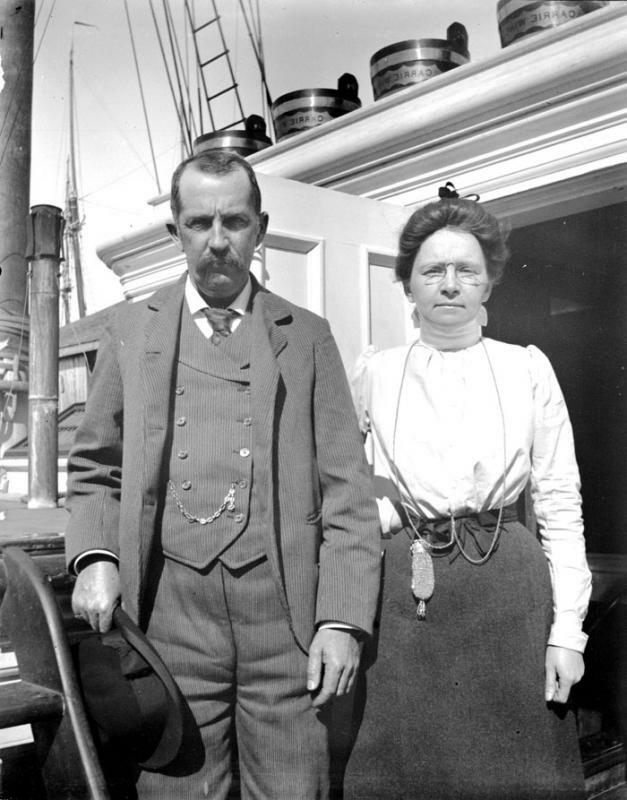 Captain Adelbert Montgomery and Mary Thorpe Montgomery standing by the pilot house door aboard the bark Carrie Winslow. 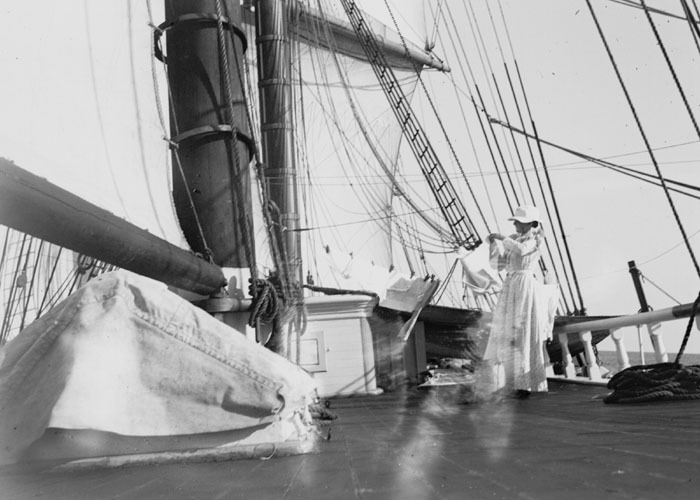 The photograph was taken by the captain's daughter, Ruth Montgomery, in 1898. 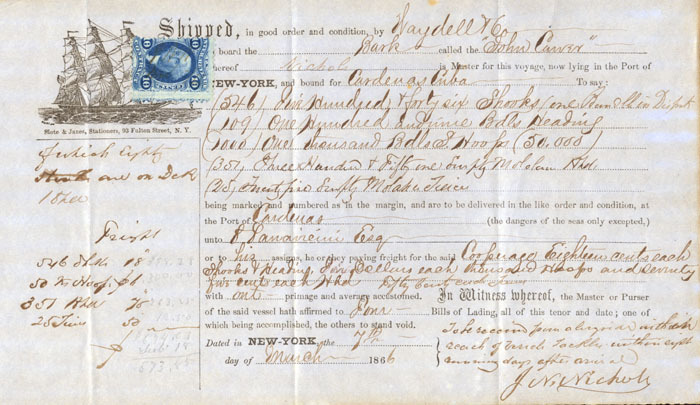 Merchant ships carry bills of lading which document their cargo and destination.This bill of lading is for a voyage of the bark John Carver from New York to Cuba in March, 1866. The cargo, made up of barrels, shooks (broken-down barrels), headings, and staves were used in Cuba to ship molasses and sugar back to the United States and to other destinations. 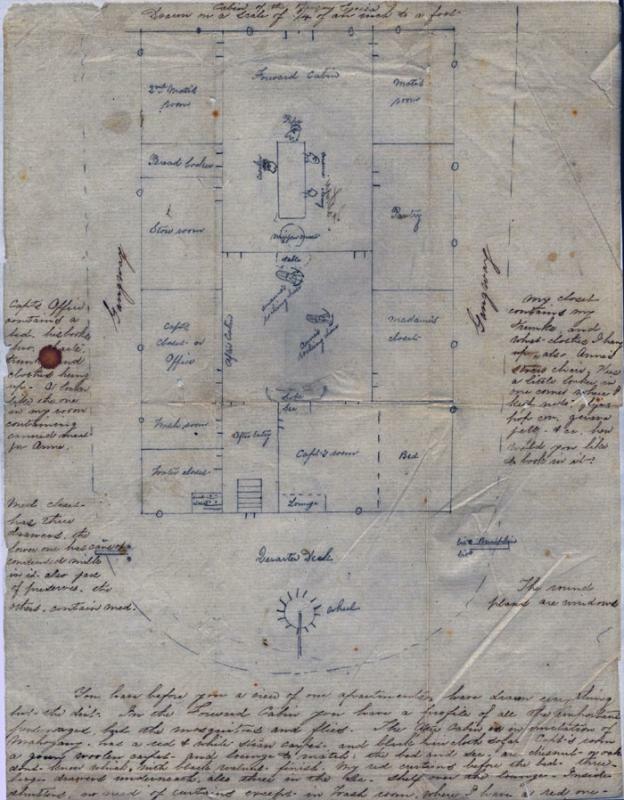 The John Carver was a bark built in Searsport by John Carver in 1842. 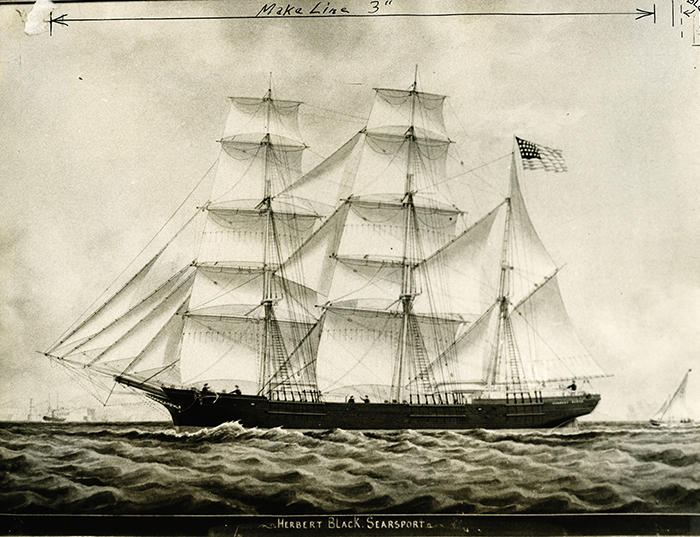 She was sold to New Bedford for a second career as a whaler in 1866.